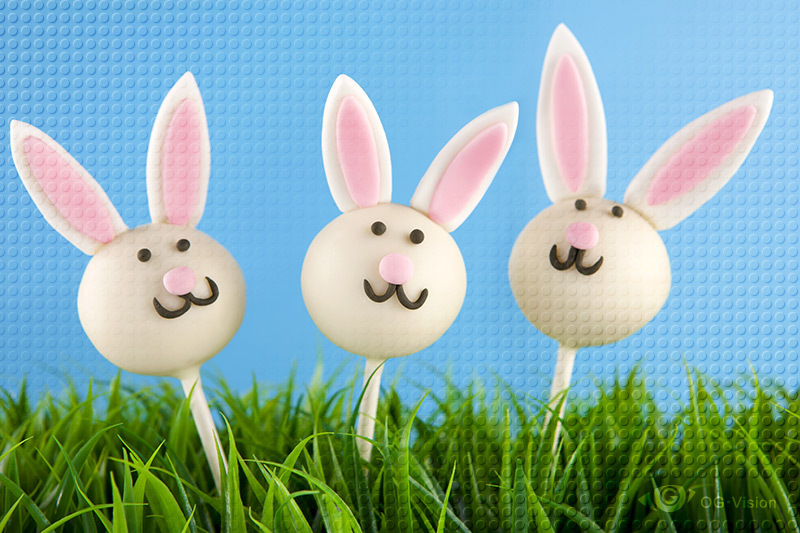 Easter Bunnies cake poops hopping in the green grass! Filed under Dessert, Food. Tagged blue, bunny, cake pop, fondant, green, sweets, white.